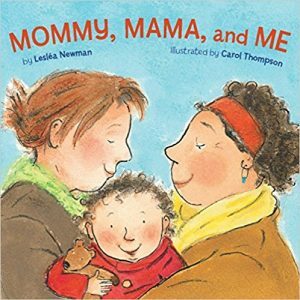 Mommy, Mama, and Me and Daddy, Papa, and Me are the first board books ever published for kids who live in two-mom and two-dad families. Both books depict a fun-filled day in the life of a happy, loving family. 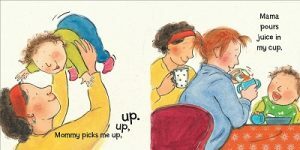 I wrote these books because I think it is important for kids from all types of families to see themselves portrayed in books. It validates their experience, and teaches alll of us that there are many different types of families and the most important thing about a family is that all the people in it love each other.